Uber’s spectacular meltdown in 2017 pitted two legendary tech personalities against each other. Business Insider has the inside story of how Benchmark partner Bill Gurley, one of Uber’s first backers, turned on Uber’s cofounder Travis Kalanick. The clash between the two men broke one of Silicon Valley’s most sacred rules, and it’s still unclear how the reputational consequences will shake out. Bill Gurley, the legendary Silicon Valley investor, had been through a lot of ups and downs during more than two decades in the tech business. But in late April of last year, Gurley was a wreck. The partner at the venture firm Benchmark had put on weight and was having trouble sleeping. He had taken up yoga. As he often lamented to his poker buddies, there was one clear cause of his distress: Uber. Chris Ratcliffe/Bloomberg via Getty ImagesTravis Kalanick. Gurley had backed the ride-hailing phenomenon early on, and as Uber’s business boomed and its value soared to a staggering $US69 billion, the investment had seemed all but destined to become a career-defining highlight. Now, however, all that was in jeopardy as Uber suffered through an unrelenting storm of lawsuits and bad press. Among the most damaging was a blog post by Susan Fowler, a former Uber engineer who described appalling allegations of sexual harassment and retaliation at Uber. Much of the public criticism was aimed at Travis Kalanick, Uber’s cofounder and controversial CEO, who had allowed these problems to fester on his watch. Gurley was also increasingly coming to view Kalanick as the problem. And within a few months, he would do something practically unheard of in the insular business world of Silicon Valley and sue Kalanick. Gurley and Kalanick had bonded early on, but the pair increasingly butted heads as Uber’s business, and its challenges, grew. Gurley saw Kalanick as a young and inexperienced CEO, a visionary perhaps, but one who needed guidance and didn’t always listen to advice. At the same time, Kalanick viewed Gurley as a drama-filled drag, perpetually appearing on CNBC to whine about a possible tech bubble. 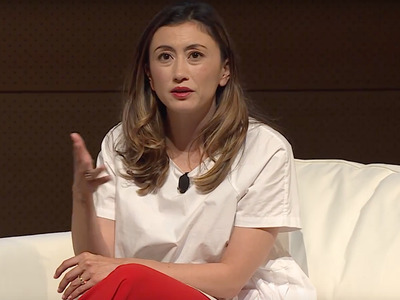 It was from Katrina Lake, the CEO of the apparel-shopping service Stitch Fix, one of Benchmark’s other highly successful portfolio companies. Gurley realised that Benchmark was in a lose-lose situation. The firm’s reputation with other tech entrepreneurs would be hurt if he orchestrated a revolt against Kalanick. But it would also suffer if Benchmark appeared to do nothing. He made a choice: Kalanick had to go, and if the board wouldn’t – or couldn’t – do it, he’d find another way. Over the next several months, Gurley and Kalanick fought an epic boardroom battle that broke Silicon Valley’s sacred rules, with investors usurping power from the board to overthrow a visionary and revered, if problematic, founder.